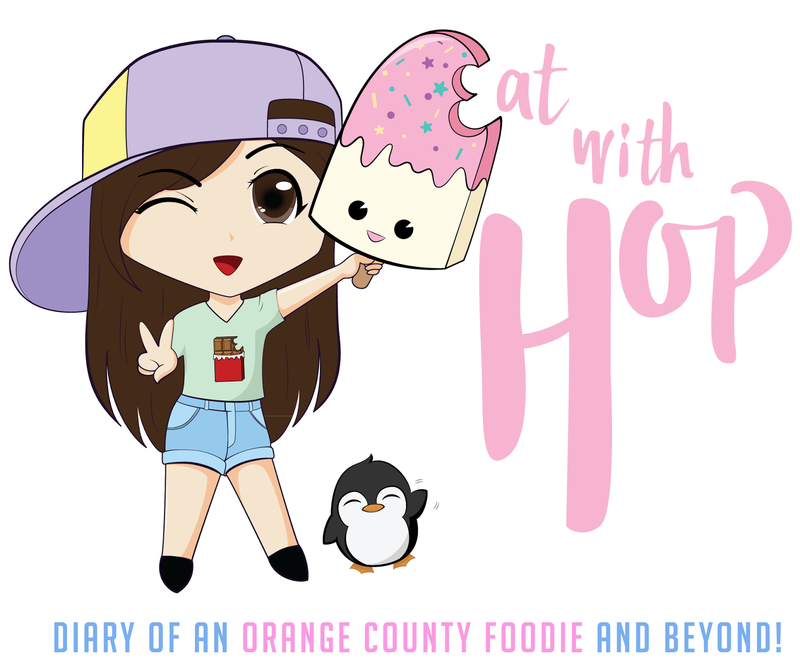 MY FAVE CAJUN SEAFOOD RESTAURANT @ BOILING CRAB - EAT WITH HOP! Sorry for the lack of pictures! I usually don't take photos at BC because I like to get down and dirty with my seafood! FIRST, LEMME TAKE A SELFIE WITH MY KORCHI BEFORE I EAT! Anyways, I remember in the year 2008 (yes, I somehow remember) around February I went here for the first time by bus with some friends (ohh the days when we had no cars..) and we heard about "crawfish." 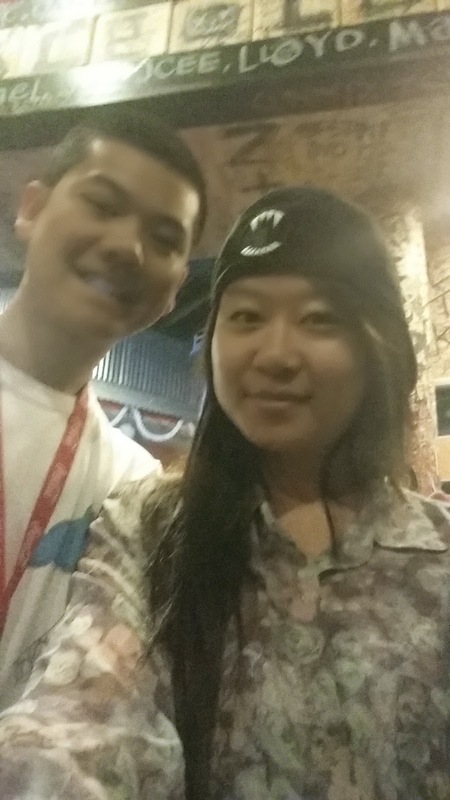 We wanted to try it and so we went to Boiling Crab. IT WAS HELLA EMPTY. Like we were literally the only breathing, existing humans inside the restaurant aside from the workers. That's how dead it was. REALLY. We ordered TO-GO and bussed it home and ate comfortably at home. The crawfish surprised me. It was puny with barely and meat and hard to peel but the sauce was what got me hooked. How the times of changed! These days, pretty much every boiling crab always has a WAIT to be seated. It is soooooooooo popular that people of all different types of backgrounds can be seen enjoying delicious cajun seafood! Whoa. I personally have waited 2 hours before for Boiling Crab but somehow it felt worth it... Especially since at that time there were not many cajun restaurants around the OC. 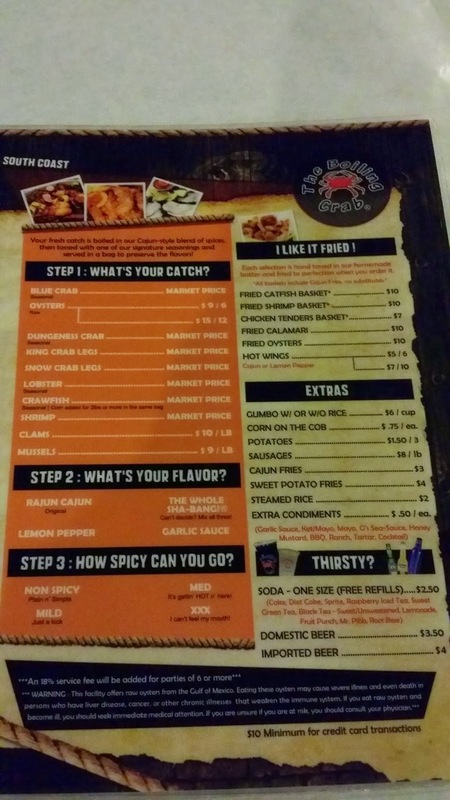 Over the years Boiling Crab has expanded and changed the looks of their menu and the way they handle the napkins (It used to be a roll for each table but now its a napkin box). The taste is still the same great taste and consistent with every location that I have been to! Shrimp the whole shabang style medium spicy: This can never go wrong! It's just the perfect amount of spiciness that you can still enjoy the taste of the shrimp. Spicy is waaaaaaay too much for me to handle. However, if you're someone that doesn't usually eat spicy, then I recommend Mild or No Spice. Sometimes the shrimp is cooked too much and it makes it hard to peel the shell/skin but other then that it's delicious! Crawfish the whole shabang style medium spicy: If you like crawfish then this is perfect! The downside is that the crawfish served at boiling crab is actually very teeny tiny with barely any meat. But if you don't mind that then go ahead! I don't usually order Crawfish because I would rather get more bang for my buck with shrimp since shrimps have more meat. If you want GIANT crawfish, there's a place in Garden Grove called Wild Crab and the crawfish there even have meat in their claws! Cajun Fries medium OR spicy: Sometimes when I really wanna burn my tongue, I get the SPICY LEVEL! But if I wanna enjoy the fries, the medium level is great. 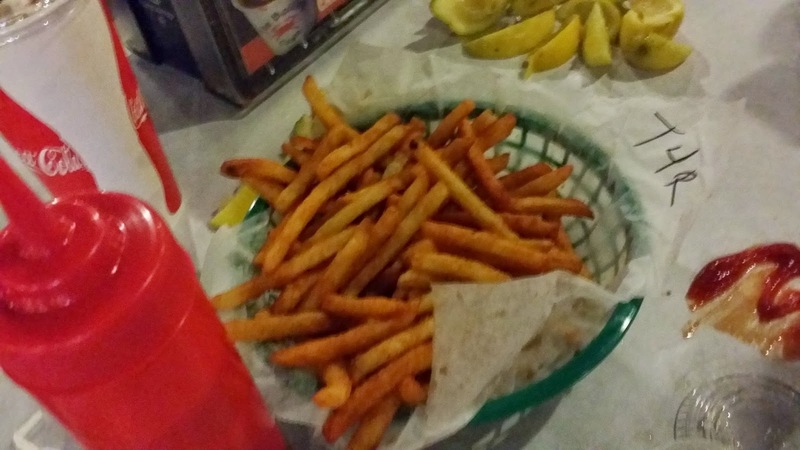 I also like to dip the cajun fries into the whole shabang sauce. it is MM MM GOOD! A dozen raw oysters on half shell: SO FREAKIN DELICIOUS. I like it the best here out of all the cajun seafood places. It tastes fresher here compared to the Kickin' Crab and the sauce they give u is way better as well. The oysters also are very fresh at this other cajun seafood restaurant called The Seafood Shack (in various locations but I went to the Westminster location) but I still prefer the sauce at Boiling Crab. Cajun Wings or Lemon Pepper Wings: These are meaaaaaaaaty chicken wings/drumsticks ! I love love loooooooove them. Lately I've been more into Lemon Pepper Wings because they give a more unique and contrasting flavor for my tastebuds while I'm eating everything else cajun! 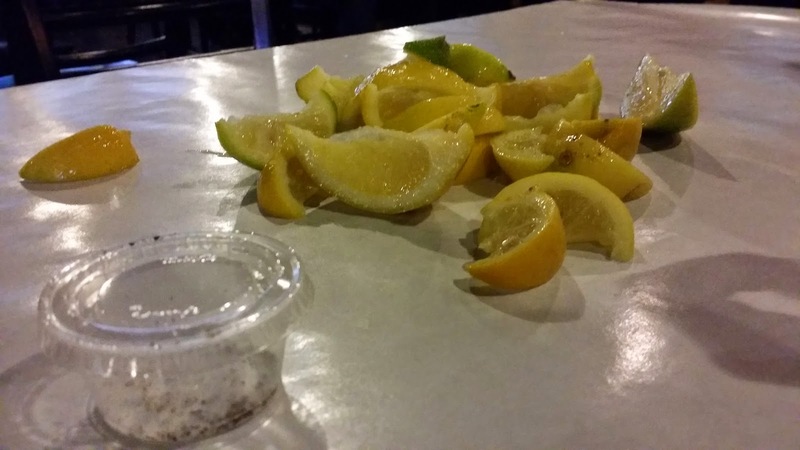 The lime and pepper: So these come with your order if you order the seafood. I personally ask for TWO pepper/salt because they really skimp out on the salt/pepper so you gotta ask for another one. The lime though... IS ALWAYS given generously. Sometimes I feel bad that I don't use it all and bring it home by wrapping it all in my boiling crab bib... LOL is that weird? But seriously, they give you an excessive amount of lime! Green Tea (Gold Peak brand): These are UNLIMITED REFILLS! I often would get a refill before I leave so that I can bring it home because it was just that good! Unfortunately, it is no longer good. These days, they changed the green tea into peach green tea and it's just not the same anymore... I'm glad Chronic Tacos and maybe even Fives Guys Burgers Fries still serves the original sweetened Gold Peak Green Tea! Why Boiling Crab?!?! 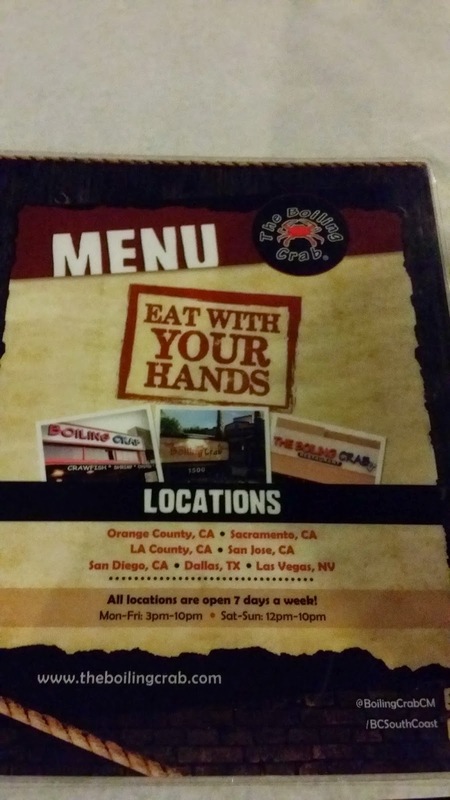 There are various locations of Boiling Crab. I suggest to go to the EUCLID location because the wait there is usually not as bad. if there is a wait at all the nearby locations, I suggest you to order TO-GO! Take the mints that they give you or bring your own, you'll need it. If you want your hands to not be all smelly and seafood like, use the lime given and smother it on your fingers and hands. Be careful if you have a cut or wounds though because it will sting! After doing that, dry it with the napkins. YOUR HANDS WILL SMELL CLEAN AND FRESH.